Blogs that are optimized for PPC (AdSense specifically) and/or affiliate programs. Most potential buyers want to buy blogs because they want to make money from it. If you create a blog with no intention of making money out of it, there’s very low chance that you will sell that blog. Imagine this, if you are looking forward to invest in blogs to increase your monthly income, would you buy a blog that has no intention to make money initially. To optimize your blogs for PPC or affiliate programs, you can use those themes that are coded for monetization purposes. Twitter accounts WITH at Least 100 Followers. Twitter followers are very easy to get and a Twitter account with some nice numbers of followers (preferably above 100 followers). You don’t have to get targeted followers, so all you need to do is just follow around and that’s it. Also, it is ideal to show off the numbers of followers you have for your blog. This is a great way to show off your start-up blogs to look like a real, ready-togo blog. Then you give them access to the Twtter account when they buy your blog, so they can get traffic to the blog from Twitter! Creating a Facebook is as easy as plucking apples from apple trees. Most people have Facebook accounts and if you have thousands of friends in it, those are some nice marketing targets. Simply create a group around the niche of your blog that you are going to build, invite all your friends to join and post a link of your blog in there. Simple work like this can ensure that the blog that you built will definitely receive some income which is an added bonus to your buyers. PLR eBook as side income. This is really common now but it will still add some value to your blog. Go over to some marketplaces and you might see some site flippers including PLR eBooks to be sell in the blog as another way to add another monetization way into the blog. You can easily get a PLR eBook by paying a few dollars for it (or you can join a PLR membership site so you can get your hands on huge amount of PLR eBooks). I also highly recommend you to rebrand (which is by redesigning the eCover) to add more value. It is no brainer really why buyers prefer premium themes over the free ones. 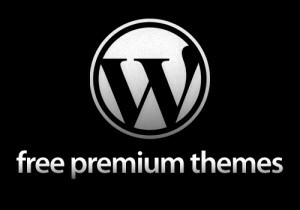 The first reason why buyers prefer premium themes is because premium themes provide better and more features. However, the most obvious reason is because buying blogs with premium themes save these buyers a lot of money. Here’s what I do: I simply purchase the developer’s license for the theme (probably cost me around $100 – $200) and the license will allows me to use it on as many blogs as I want. If I could sell two blogs with those themes at $100 profits, I would already break even with the cost I spent on the theme. However, the great thing is that I can simply use the theme as many times as I want without having to pay a single cent for every use. Using a good WordPress theme is very important. I already mentioned about the themes above. So I’m going to go into designs for your logos, headers or banners. When you outsource your designs, you have to put yourself as the quality control guy. You have to make sure all your logos, headers and banners are in top quality. Like I said above, you don’t need expensive designers to get good quality design works. I don’t have much tips to give you here (it will take me about 10 videos just to explain to you about choosing designs that sell) but one thing for sure, always make sure your designs have the appropriate resolution – not too big or not too small otherwise your image on your designs will get blurry. Selling unique sites is always a good thing because you are giving some kind of exclusivity to your buyers. By unique sites, I meant unique contents and unique designs. I guess I don’t need to explain to you about unique designs since you just have to tell your designers that you want unique designs. Unique content has always been a major debate. Not long ago, a student of mine sold a blog with PLR articles (which is not unique in case you didn’t know) for $200 which is totally amazing. However, I always use unique contents because I believe unique contents increase the value of your sites (so do 32 out of 35 of my previous customers according to a survey that I’ve done). The same student of mine who disagreed with me later produced 5 more blogs with PLR articles and ended up failing to reach anyway the $100 figure. The lesson is to try not to use PLR articles. Instead, use unique articles. You can even outsource to writers cheaply (my writers’ usual rates are $3/400 words) because trust me, that would SAVE you truckloads of time! Good luck on your blog, and don’t forget that success doesn’t happen over night!